I know I’m not alone in my love for What’s in my bag? blog posts and videos, so thought I’d do my spin on it this weekend. Today, I’m running the Great North Run, the world’s biggest half marathon so thought I’d share all the kit I’ll be taking with me to help me conquer 13.1 miles. Lets kick things off with the bag. And yes, it’s a bum bag. This is the best thing I’ve found to carry my running loot. You can get running belts, but these are a bit bulky for me, and for a half marathon distance, a little unnecessary. These would be great for something like an Ultra Marathon (LOL when will I ever do that?) or just standard marathon training/running. I’ve used a Nike bum bag (similar here) for my last few half-marathons, so I’m probably in need of a new one, but this bag has served me well. Super compact with a main compartment concealing a small pocket at the back, with a smaller zipped pocket to the front. You go, bum bag. You won’t need much fuel on a half-mara but you do need some. For fuelling up at the halfway point, I take Lucozade tablets and good ol’ fashioned Jelly Babies. These are jam-packed with sugar but I couldn’t do a long run without them (trust me, you need the sugar). I’m damn sure Jelly Babies were what did the trick to help me get a PB at the Sheffield Half Marathon earlier this year, so I they have a lot of pressure on them to come good on GNR day. I pack my energy boosters into a food bag so they’re easy to store and grab on the go. You could also pack a sachet of nut butter (I’m obsessed with Barney Butter at the minute). These are great for a clean/natural energy boost mid-event, but can be a bit claggy. See ya, safety pins. The only thing I use for keeping a race number in place now are Event Clips. Safety pins do the job but are super fiddly and can damage your running gear. My super marathon/triathlon/duathlon-doing Mum (or Super Susie as I call her), introduced me to these, and I haven’t looked back. Unsurprisingly, they also won Best Accessory at the 2015 British Running Awards – they are that good. You can brand them up which I think is a great idea, so if you’re part of a running, OCR, cycling or anything-else team, this would be a great idea to keep the whole team looking slick. The multi-purpose wonder that has a multitude of uses when running. Check out my Running Essentials 101 post where I wrote about this helping to stop the chafe (grim). This is any handbag essential, but you’ll thank yourself for taking tissues, especially when you need to use the event toilets at the beginning/during the race (they can be a bit grim). For all important night before running kit shots, pre-run selfies, suffer selfies and post-race selfies. You may also want to snap some pics of fellow runners and your surroundings if you’re not a complete narcissist like me. For a celebratory drink when you’ve crossed the finish line. I’ll have a pint of wine, please. What do you take with you on race days? 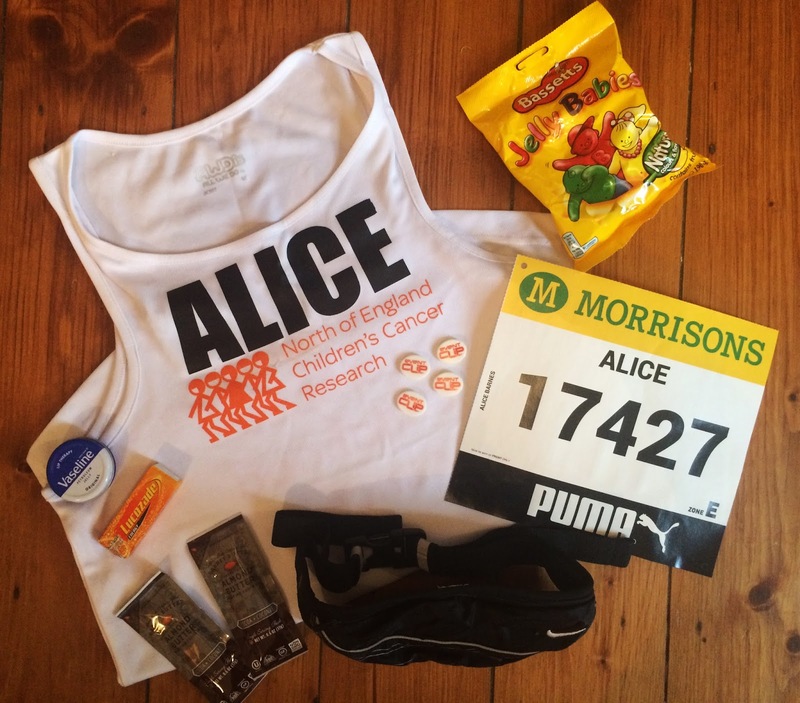 I’ll be posting #GNR2015 snaps on Instagram today, so follow me to see how I got on.